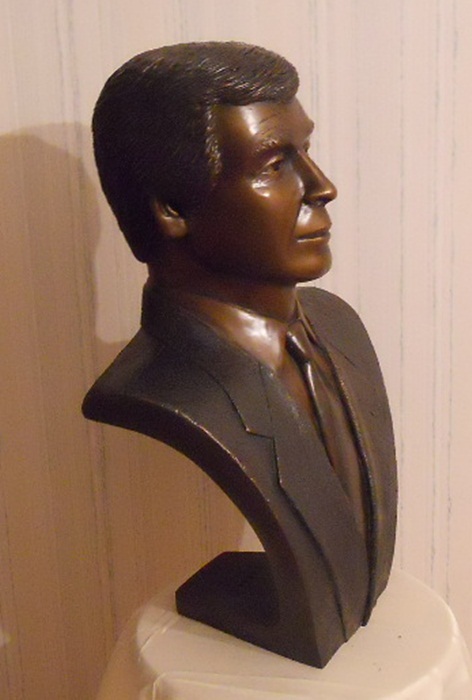 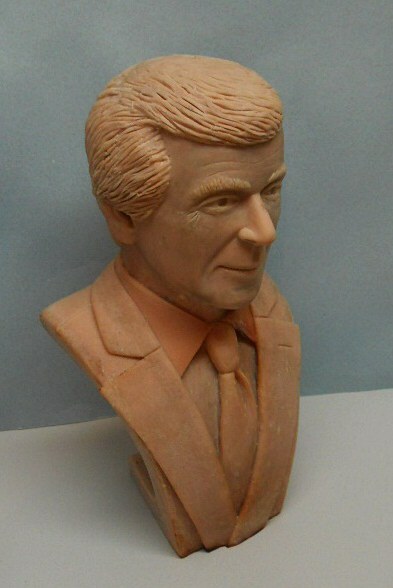 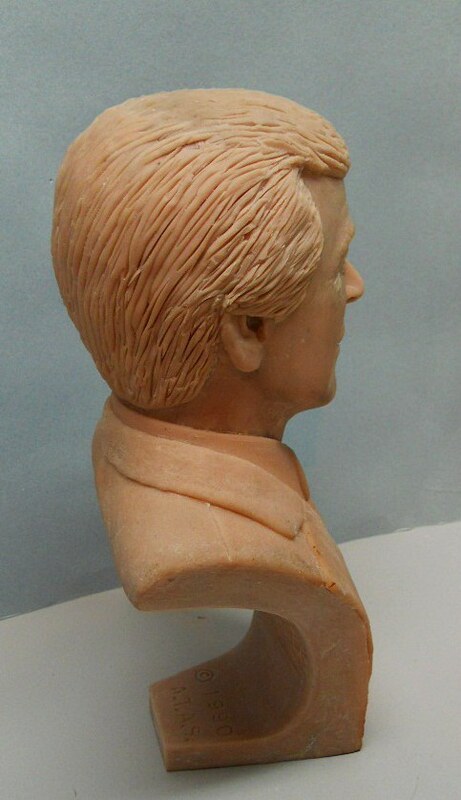 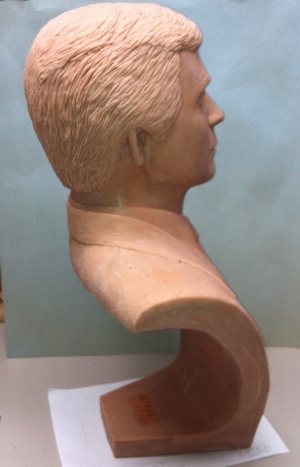 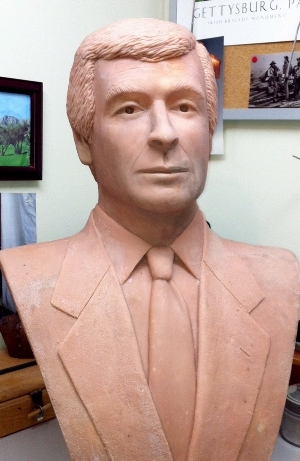 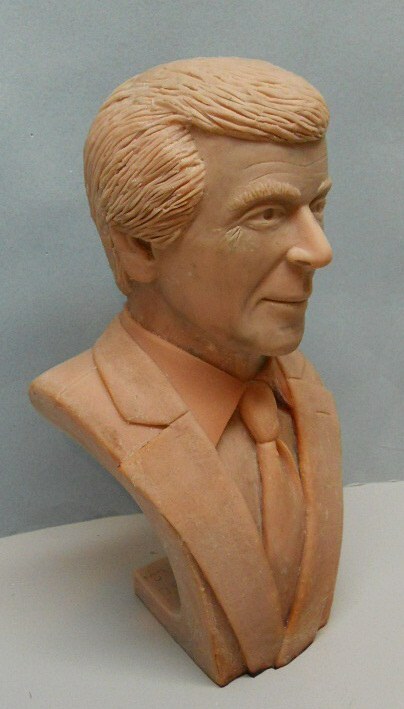 On February 18, 2011 the National Academy of Television Arts & Sciences commissioned Randy Groves to sculpt a bust of the late ABC anchorman Peter Jennings. 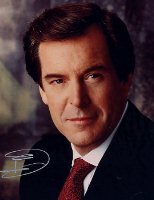 At the top of his profession as an acclaimed ABC News Senior Editor, Peter Jennings openly declared that the thing he was most proud of was being a father. 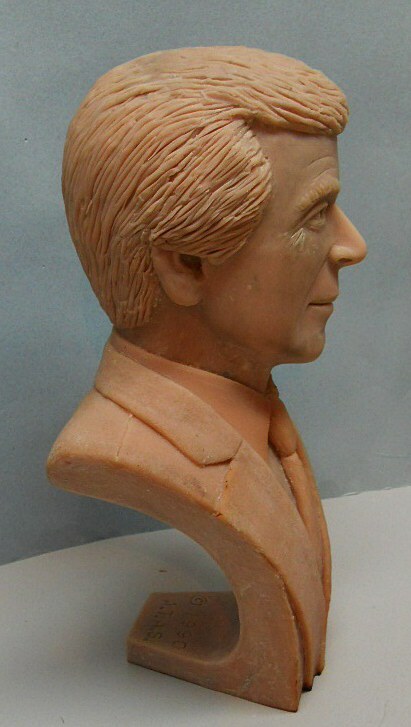 In this sculpture Randy Groves is attempting to capture every aspect of the dichotomy that Peter Jennings could be. 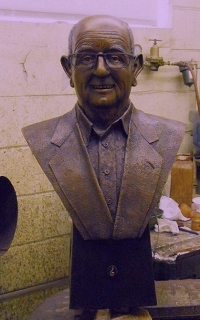 While comfortable surrounded by a cacophony of technology - flashing computer screens and chiming telephones, his favorite possession was his canoe, a cocoon where he could cherish the quiet of peaceful water. 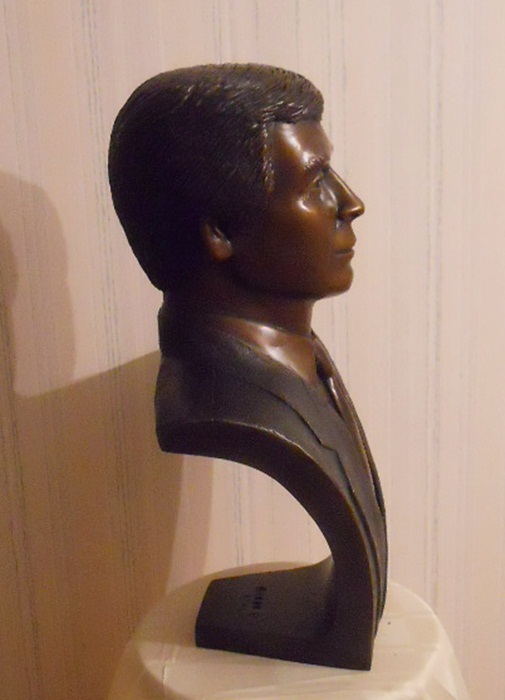 interested and interesting communicators, an intellectual feat that is a true tribute to his work ethic. 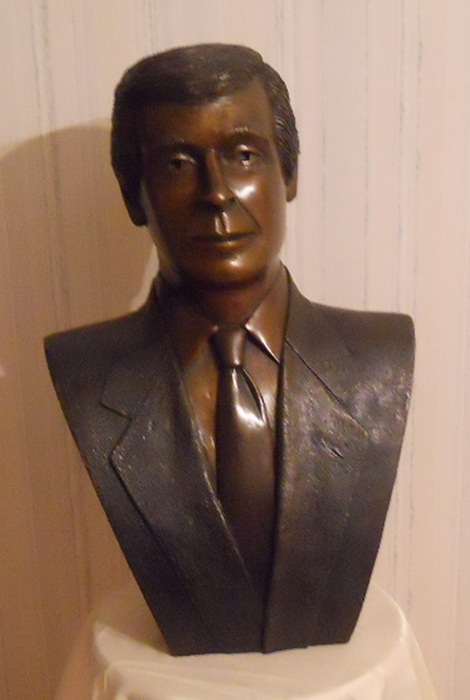 Ever bursting with enthusiasm, Peter Jennings' true gifts were mainly hidden from view - his fathering skills, his compassion, and his charity.